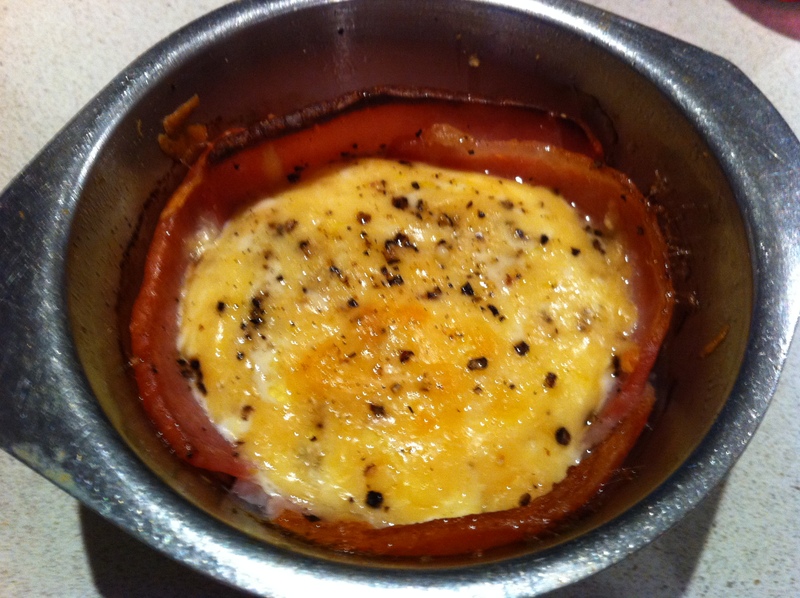 This is a yummy take on the usual bacon and egg pie. 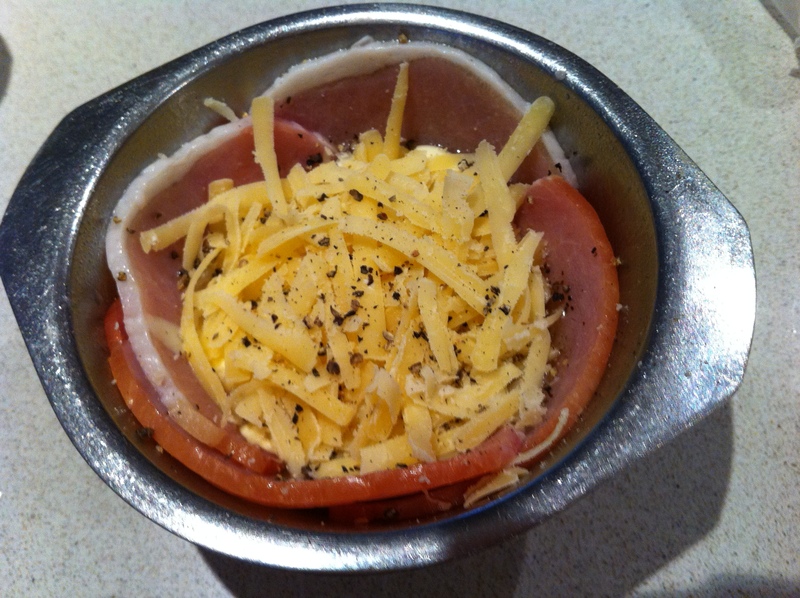 It doesn’t use any pastry, the only ingredients being egg, bacon, cream, parmesan cheese and pepper. 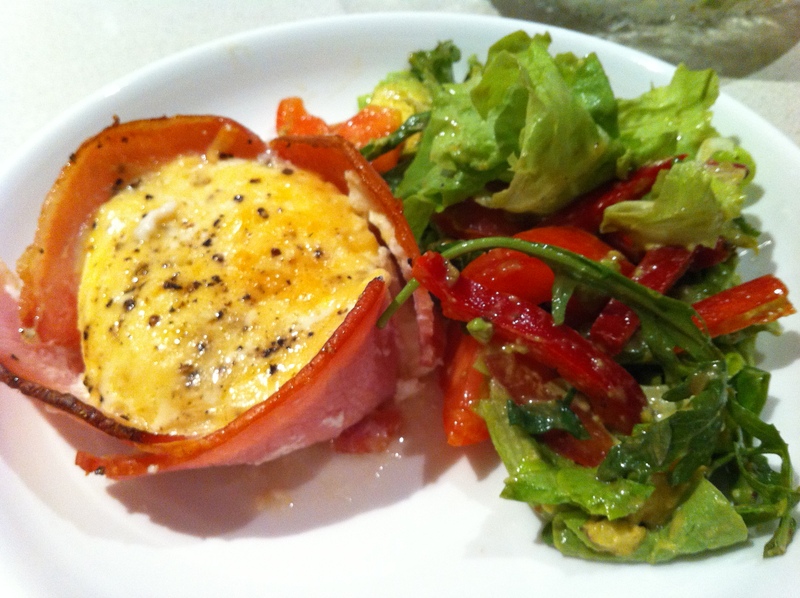 They are really easy to make and take about 20-30 minutes to cook (depending on how many eggs you use in each). I cooked these for dinner the other night and served it with a garden salad with my pesto balsamic dressing (recipe to come!). I didn’t have any pie tins or ramekins so I just used a stainless steel bowl (the bowl was quite big so I made one with two eggs instead of two separate ones). 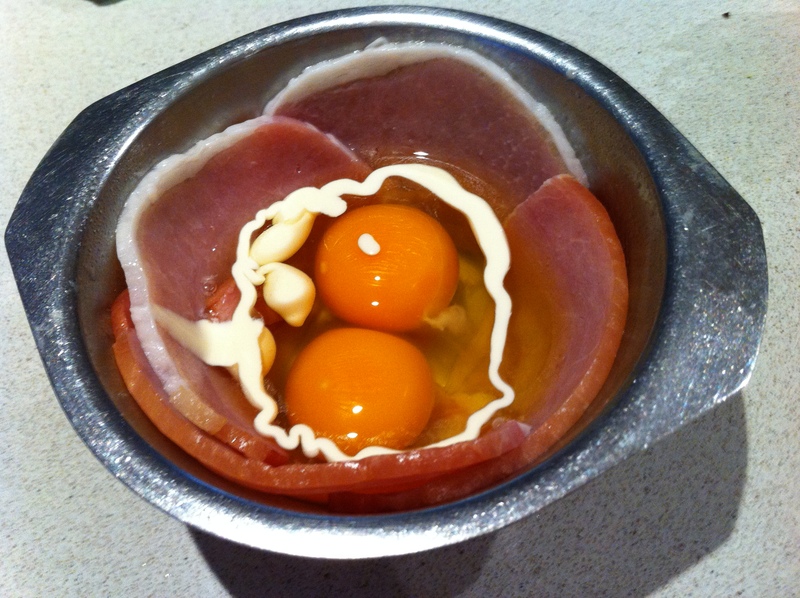 Want to know how to make your very own gluten free bacon and egg pie? Do you like to find ways to make recipes quicker and easier? Clever idea doing it without the pastry Petra!